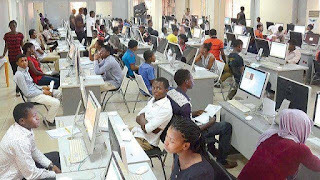 The Joint Admissions and Matriculation Board (JAMB) has disclosed that about 300,000 Candidates have so far been registered for the 2019 UTME. This is coming 1 week after the Board commenced the sales of form. This information was made known by the Board’s Head, Media and Information, Dr Fabian Benjamin to newsmen on Friday in Lagos. Dr Benjamin stated that the registration so far has been smooth, and the board is happy with the development because so far, there is just a tiny gap between the number of candidates that have acquired the e-pin and that of those that have registered,” he said. 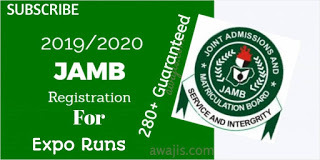 Meanwhile, there have been calls that JAMB should set up centres across the states in Nigeria to handle candidates’ biometric issues instead of such candidates going all the way to Abuja to solve the issues as this poses additional burden to the candidates and their parents. However, Dr Benjamin insisted that all candidates with issues of biometrics must go over to Abuja for it to be rectified. “I want to reiterate the fact that only the Registrar of the board has the sole right to attend to such issues. 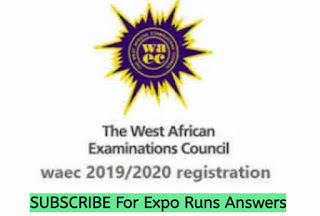 “Any candidate who may have issues with the capturing of his or her finger prints at their respective points of registration will need to come down to our office in Abuja.This will require the Chief Executive to do it himself for the purpose of security,” Benjamin said.